1. Your diet should be replete with sufficient fresh fruits vegetables, dairy products, animal protein and cereals of whole grain. An adult man or woman needs 2,000-2,500 calories every day for carrying out all the physiological activities. Starch or carbohydrate should comprise one-third of your whole diet. You can use whole grain bread and cereals in your diet to get sufficient fiber while taking carbohydrate. 2. You should take at least five portions of fruits and vegetables in various forms according to your taste. There should be colorful fruits and vegetables especially those with yellow, orange and dark green color in your meals. You can make desserts and smoothies from fruits also. In that way, you get all the vitamins and minerals needed for a perfect health. 3. Eat fish that contain a good amount of omega three fatty acids. 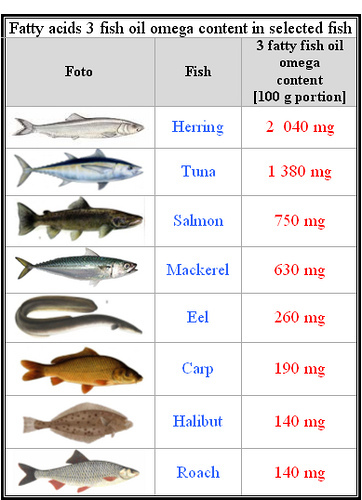 Fishes like trout, mackerel, salmon etc can serve your requirement of protein and minerals. 4. Make your portions of a small to moderate size. So that you do not have to eliminate any food of your choice. In case you are dining out, you can share your portion with someone you go with. One thing you need to keep in mind that your portion size depends on age, gender, lifestyle and personal health record. 5. You should drink 2.5-3 liters of water every day to keep your system hydrated and by flushing out the toxins off your system. Normal water is good for health which you can flavor up by adding fruit pulp or any kind of sweetener or nutrition supplements. 6. Skipping breakfast or any meal does not help in losing weight. In turn, it deprives your body of its required nutrition. Instead of doing this you can eat small portions in between 2 consecutive meals. Your hunger will be curbed and your overeating during meals will be restricted. 7. There is nothing called a good or bad diet. In order to live on a proper diet, you need not shun all your favorite food items. If you eat them occasionally and in small amounts, you can pamper your taste buds without harming your health. 8. Instead of eating deep fried food always go for fresh, baked or grilled food. Use fat-free or low-fat cream or mayonnaise for dressings.